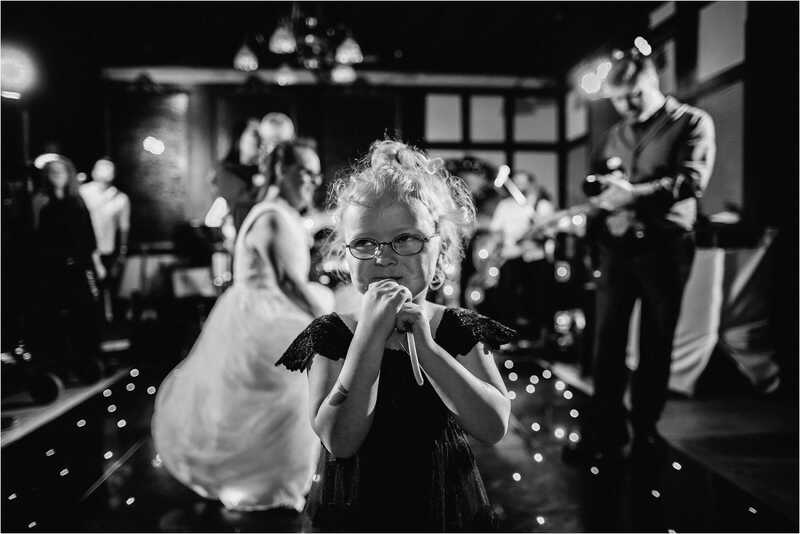 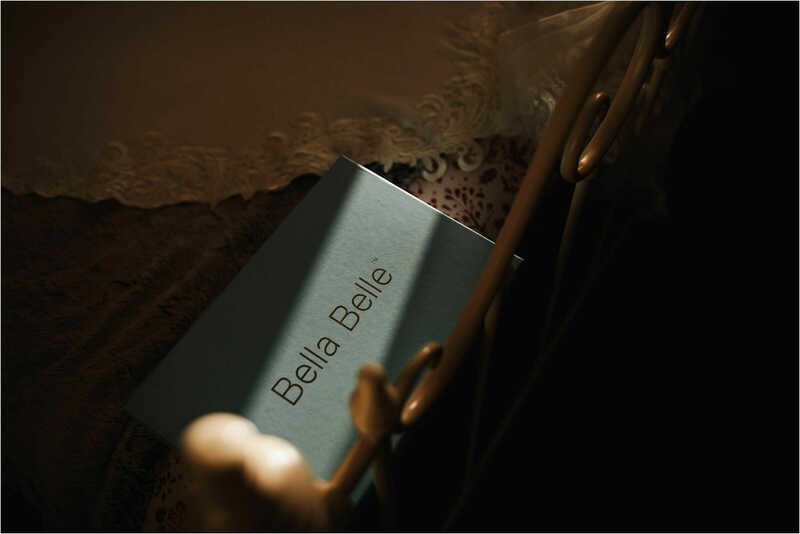 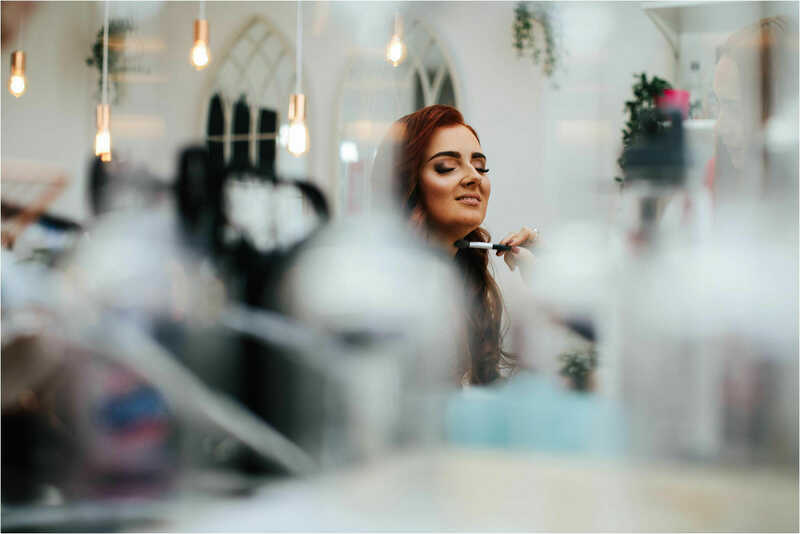 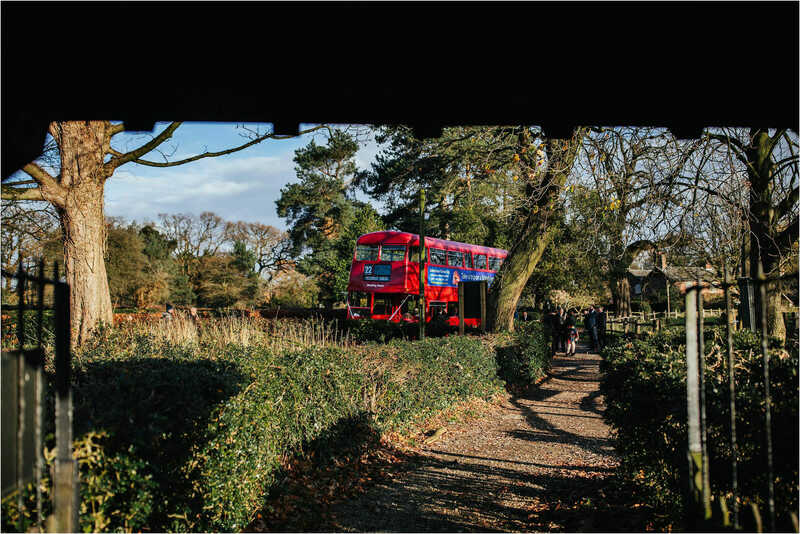 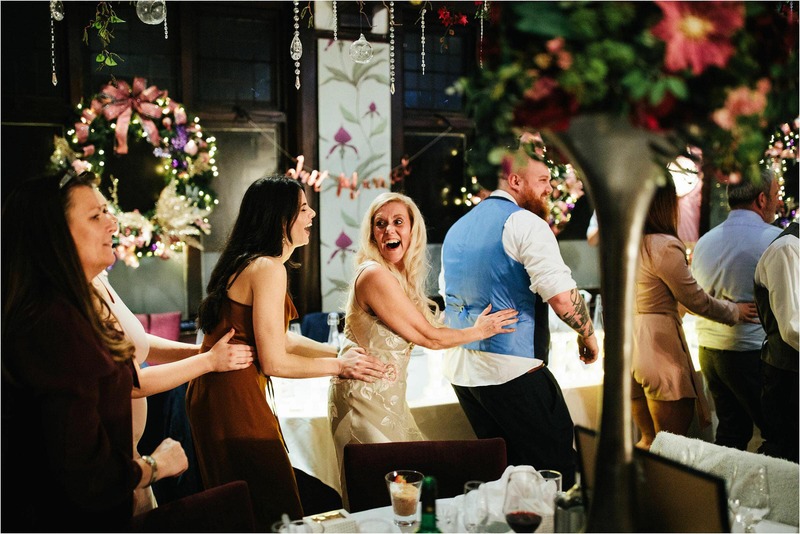 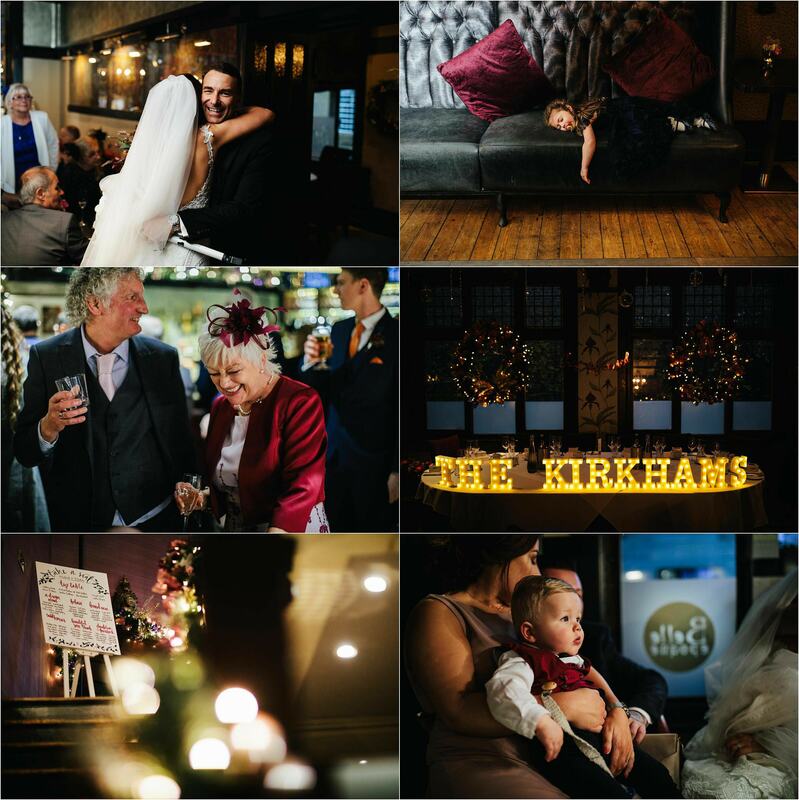 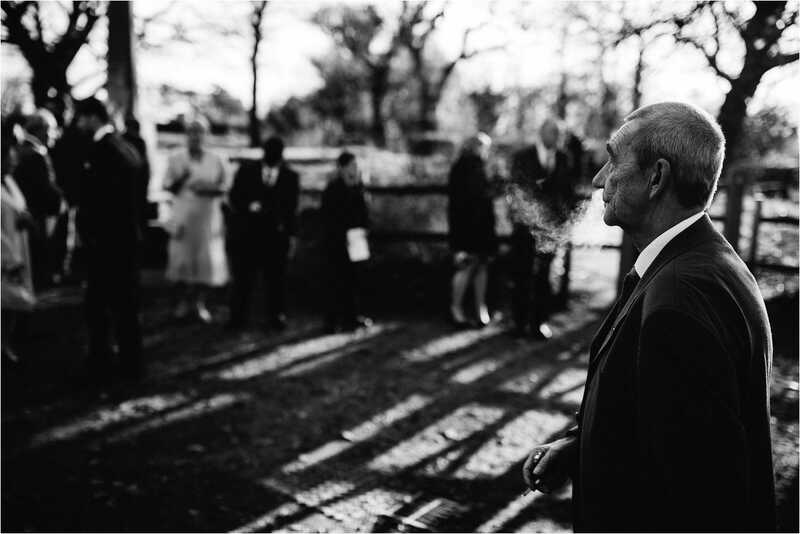 This is the visual story of Elisha and Mike’s wedding at the Belle Epoque, in Knutsford, Cheshire. 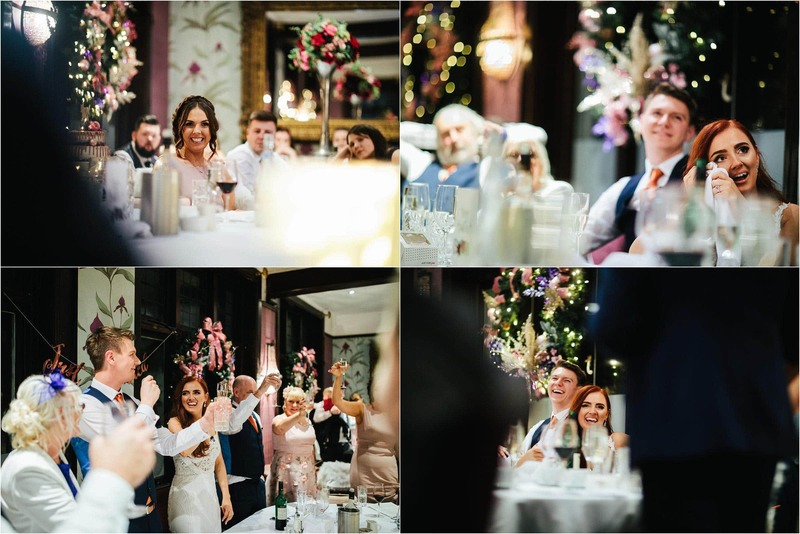 I’ve been a Belle Epoque wedding photographer quite a few times in the past and I always enjoy returning to this fab venue in Cheshire. 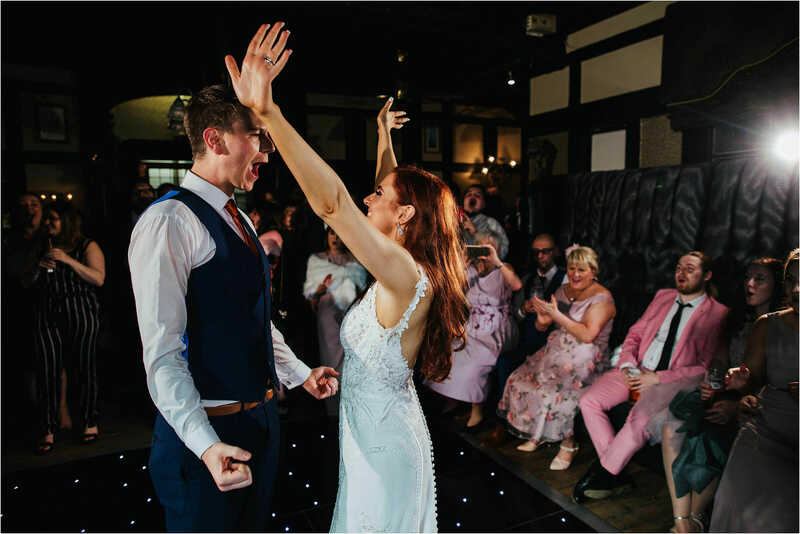 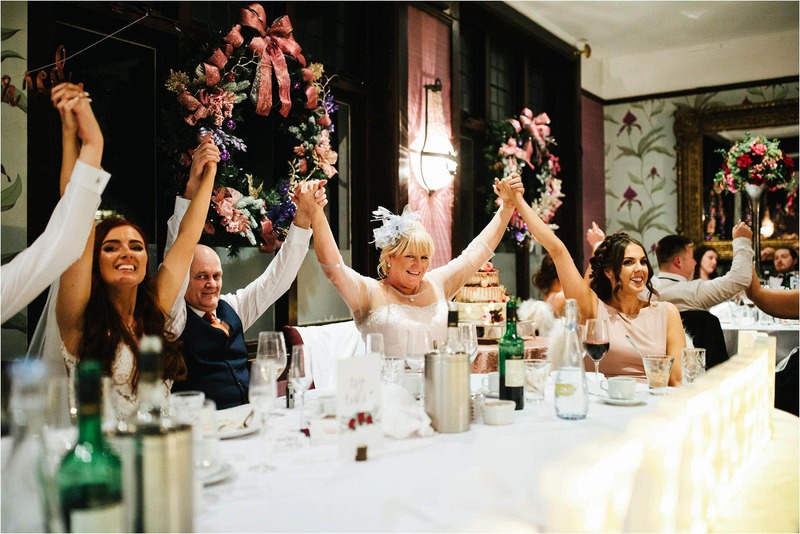 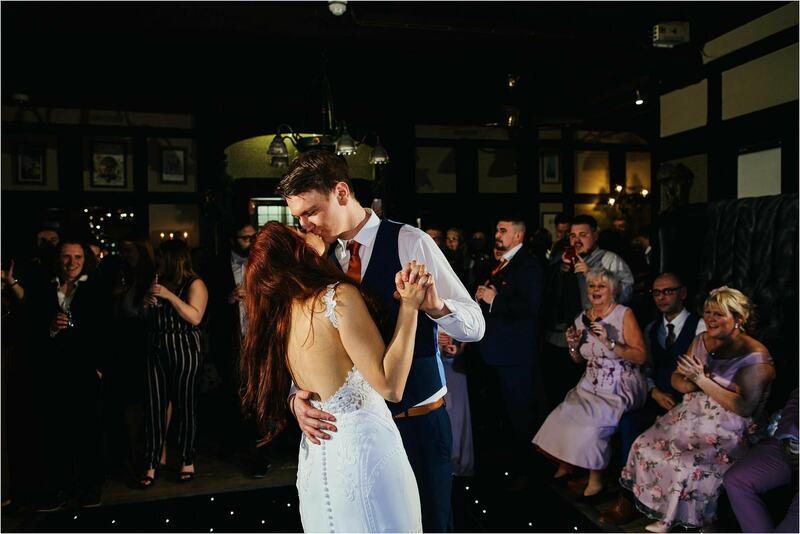 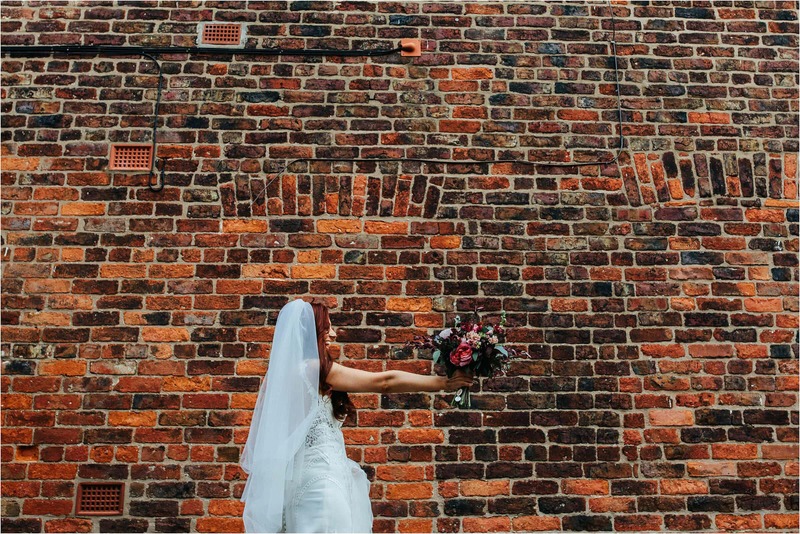 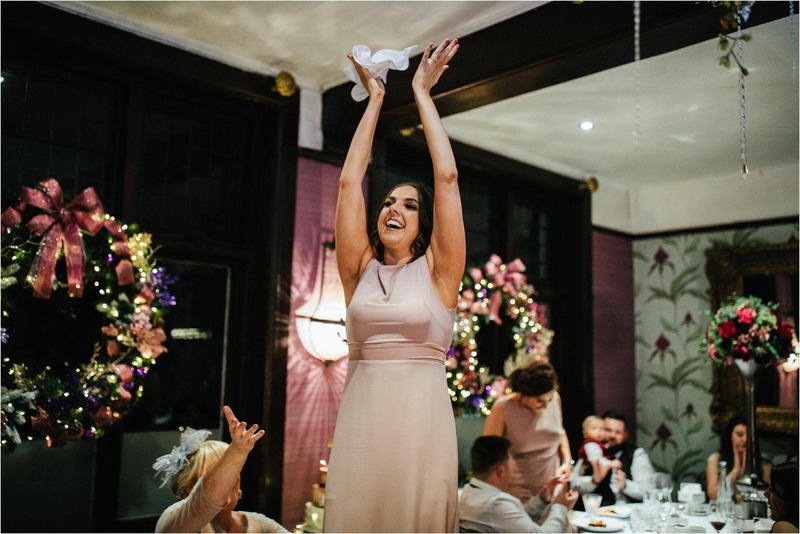 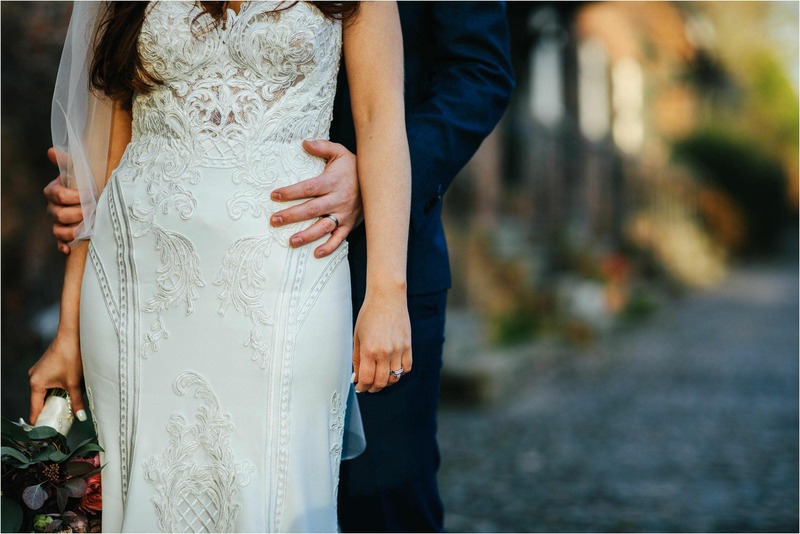 The Belle Epoque is located on Kings Street in Knutsford town centre and is the perfect venue for those looking to have an intimate venue, in classy surroundings, with good food … the food at the Belle Epoque is amazing! 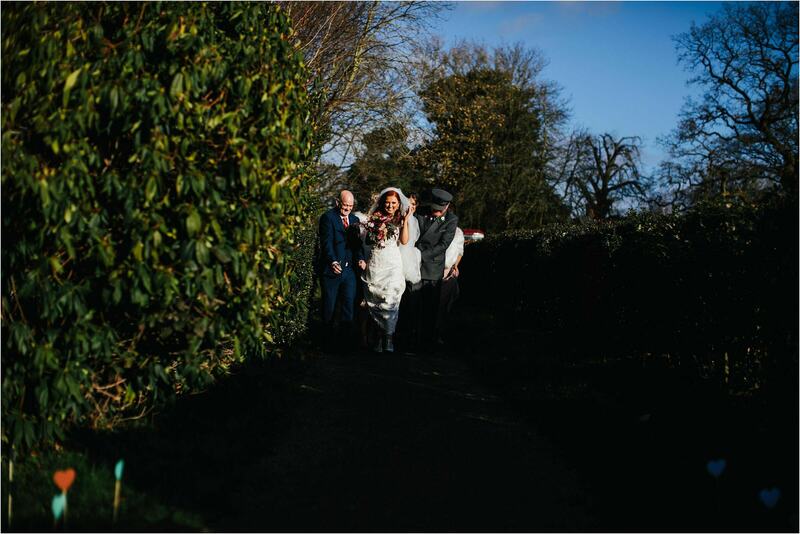 I first met Elisha and Mike when they came to visit me in my local boozer in Delamere. 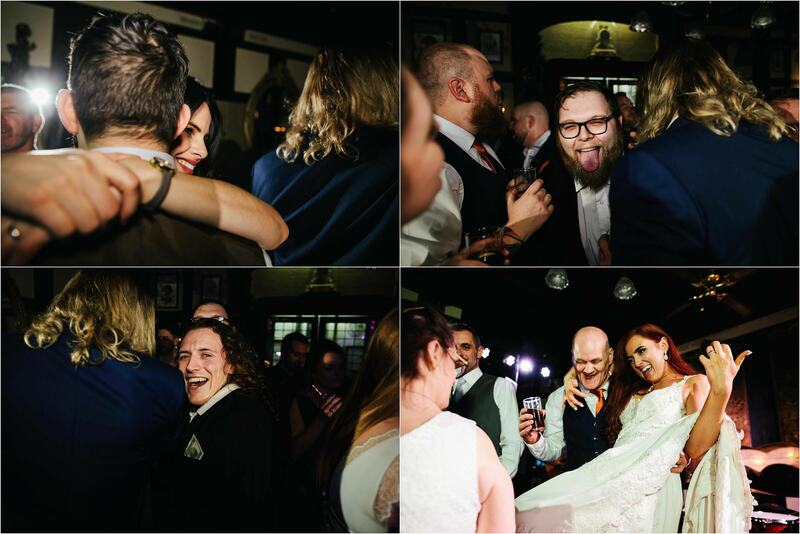 We hit it off straight away and they are totally on my level. 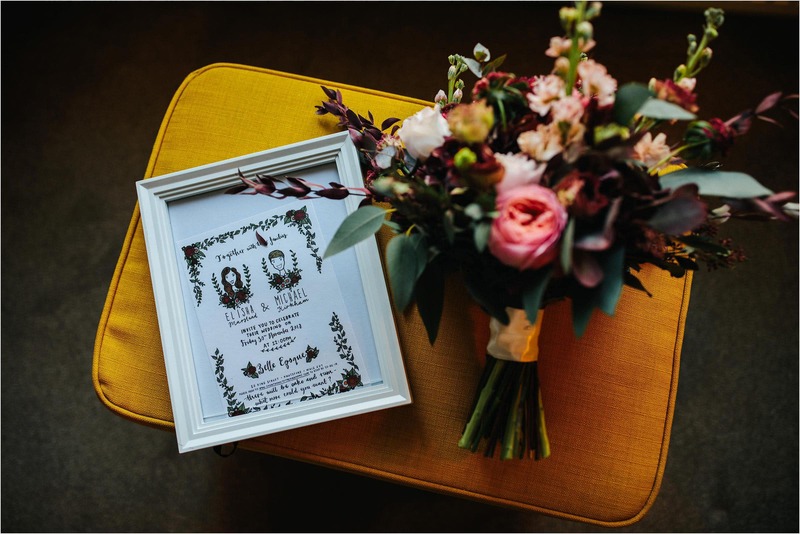 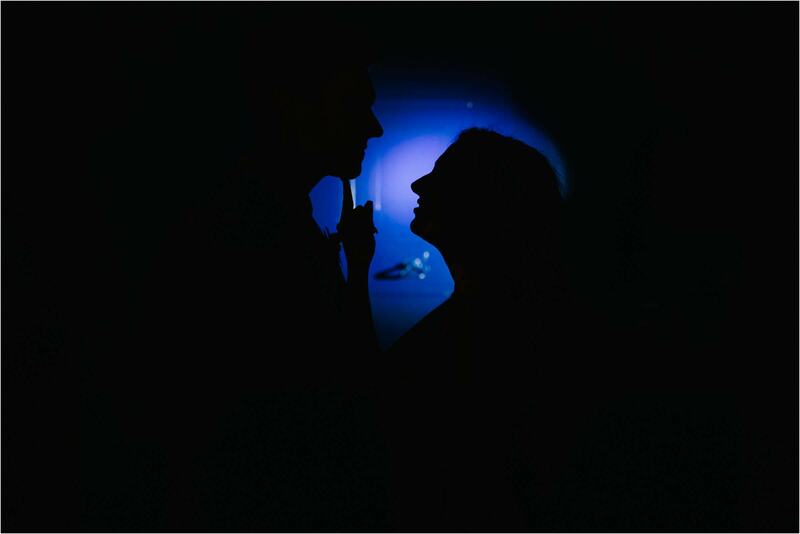 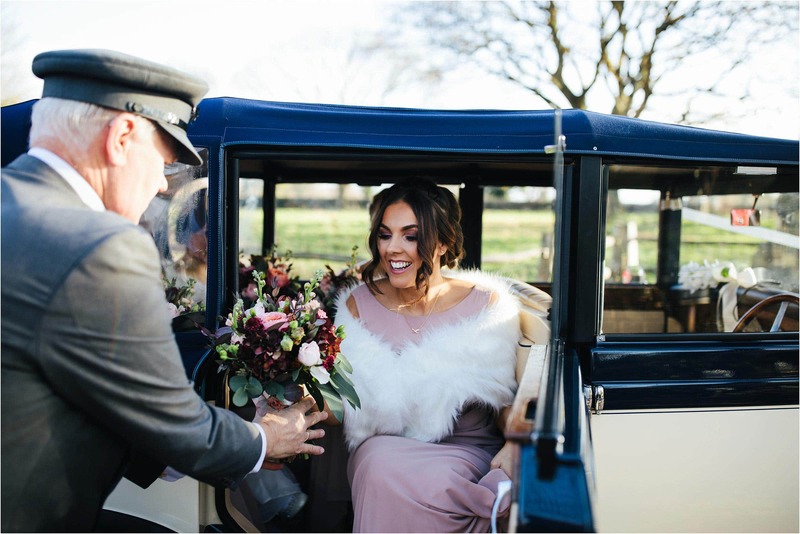 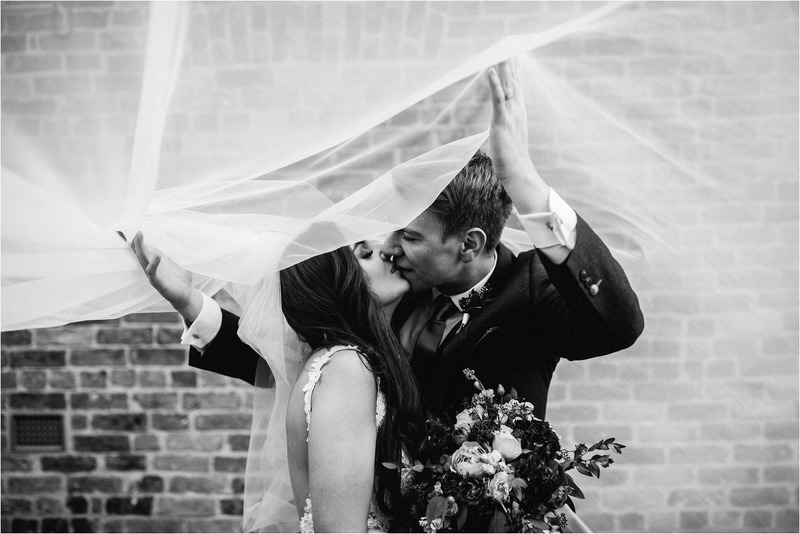 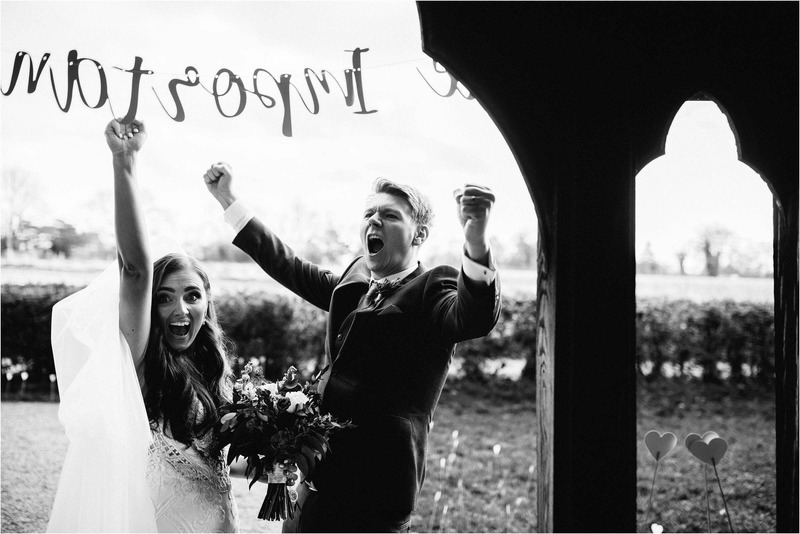 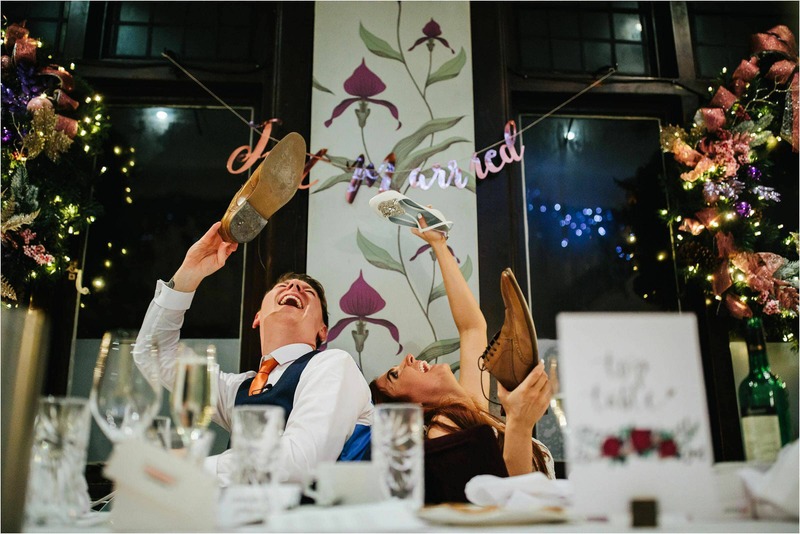 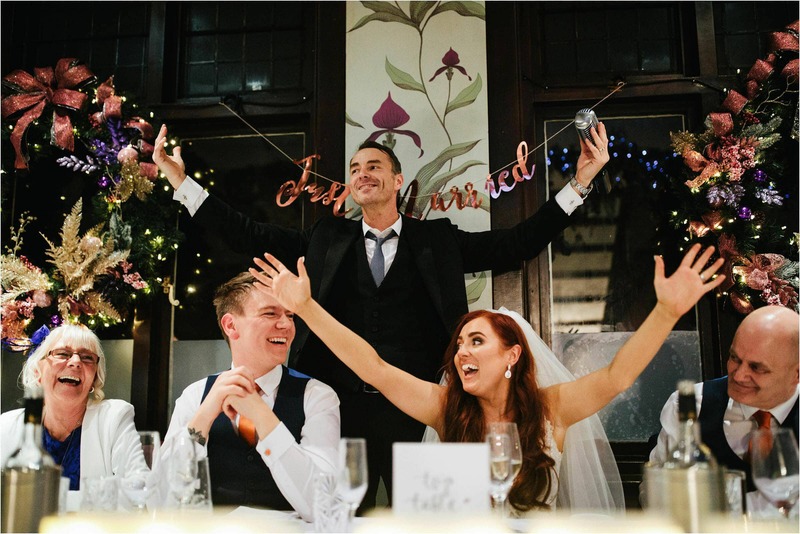 They are a couple who don’t take themselves too seriously, super relaxed about their wedding at the Belle Epoque, and are just mega excited to see all their friends and family all under the same roof for a big party. 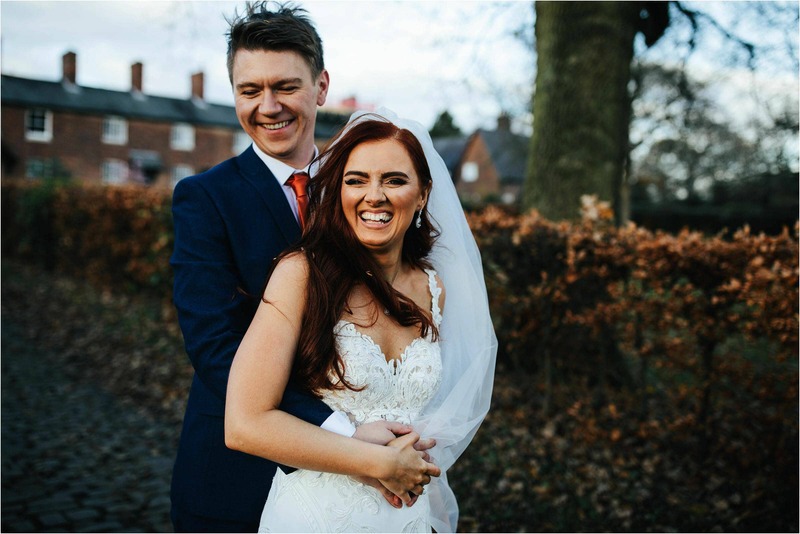 I had a pre wedding shoot with them in Delamere and we had such a laugh. 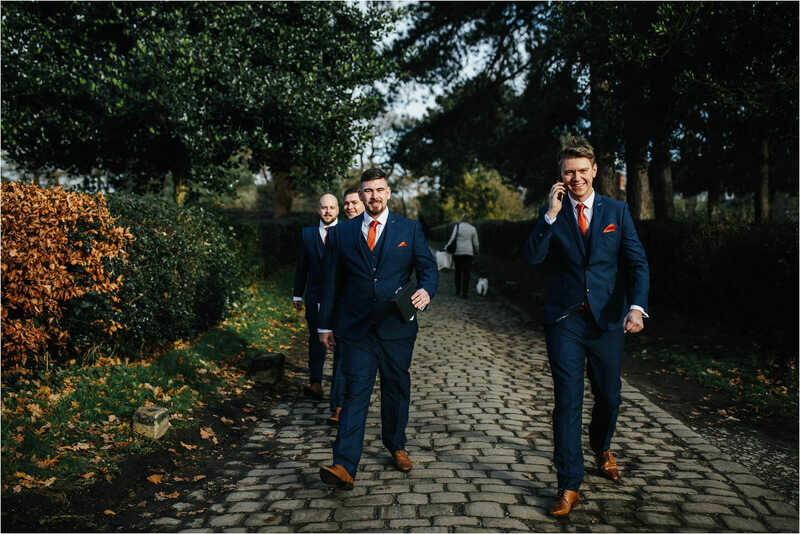 Those who know me know that I love shooting humour in my portraits and these guys ooze humour … they laughed their way through the whole shoot. 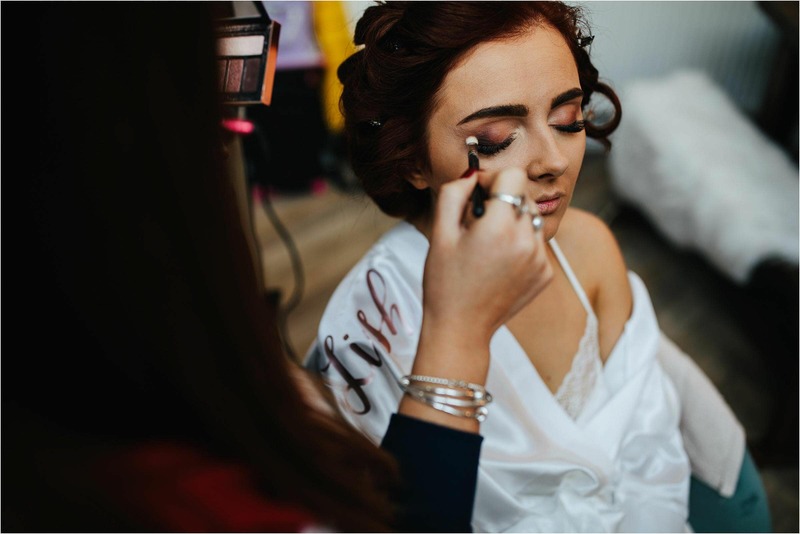 On the big day itself I hooked up with a great friend of mine, Aaron Jones from Reel Weddings, for bridal prep. 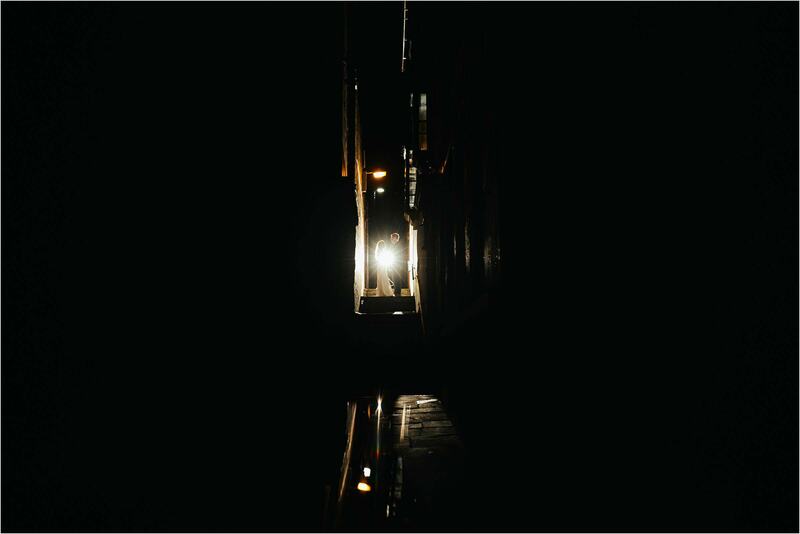 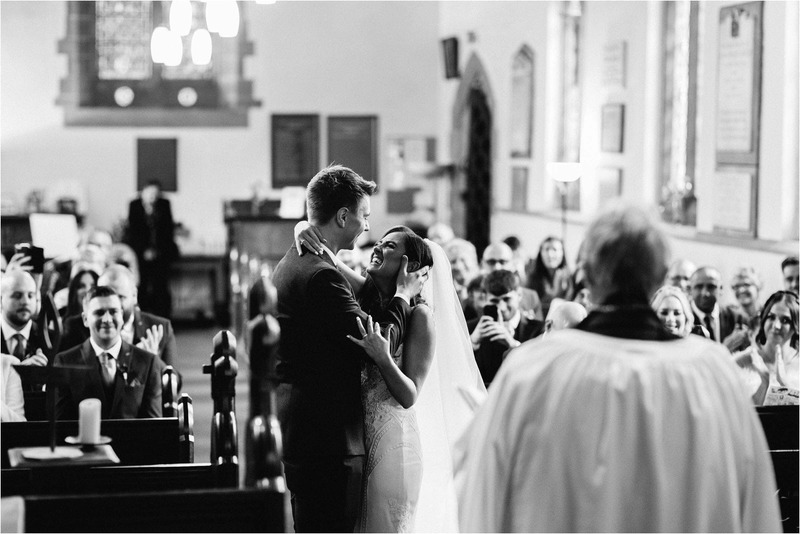 Aaron shoots video and is one of the very best in the UK … I can highly recommend his services. 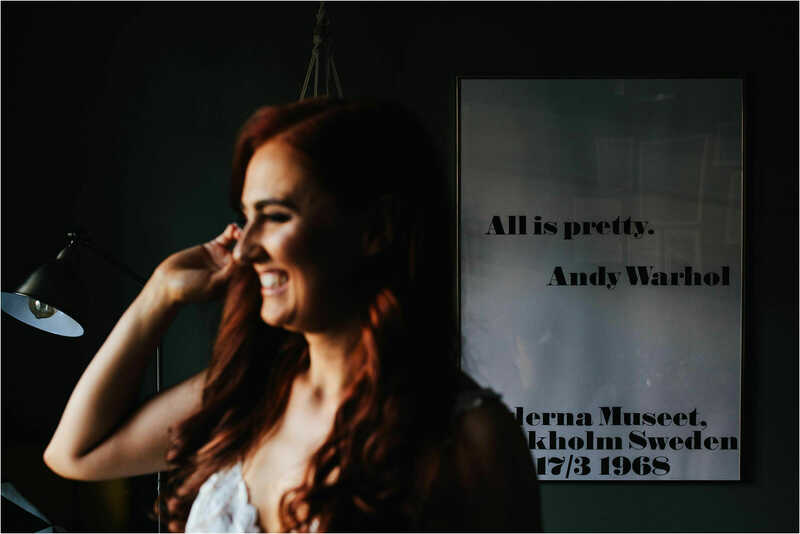 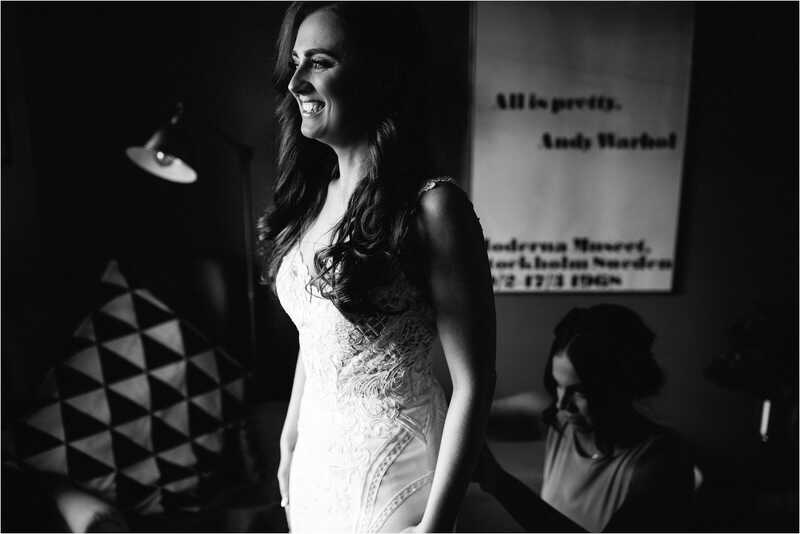 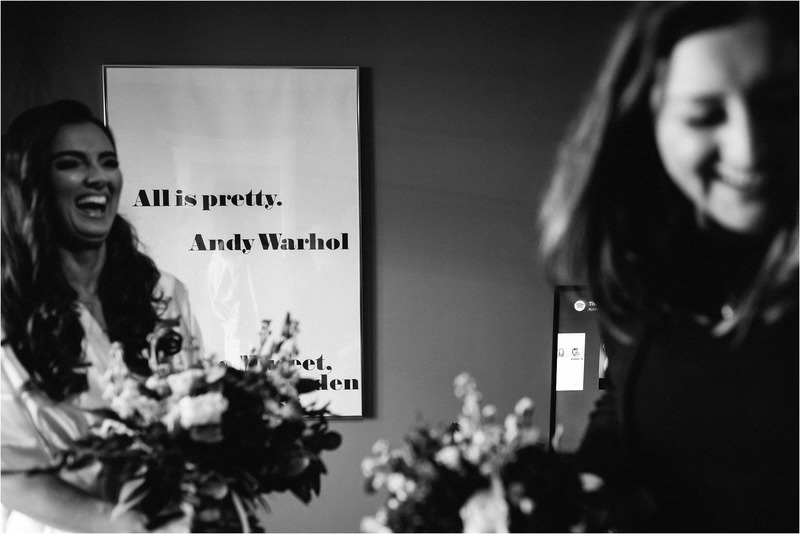 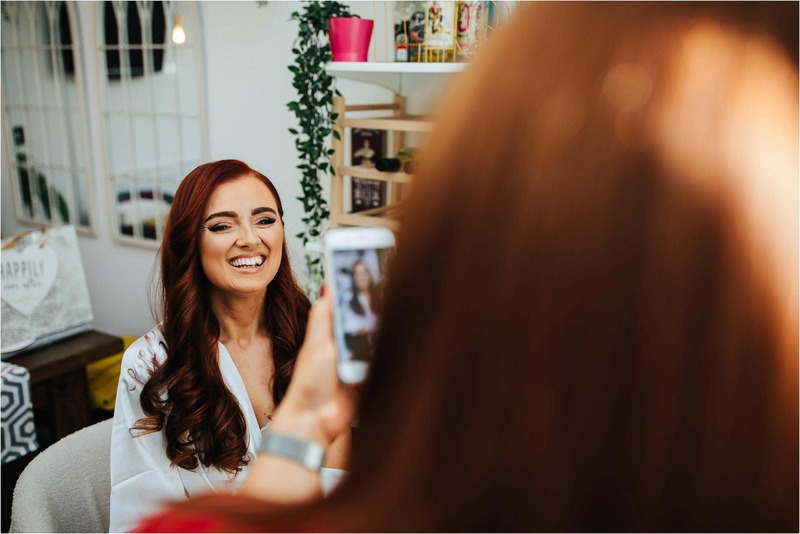 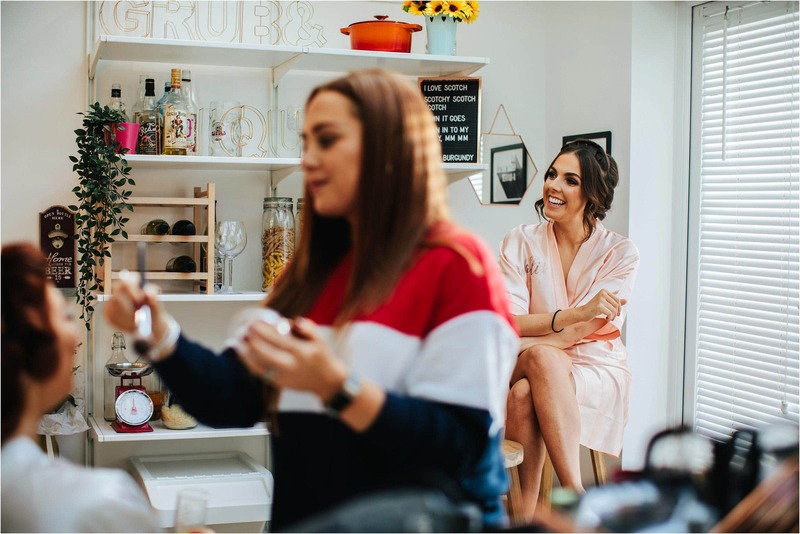 The theme of laughter continued and it felt like I was simply hanging out with some close friends during bridal prep. 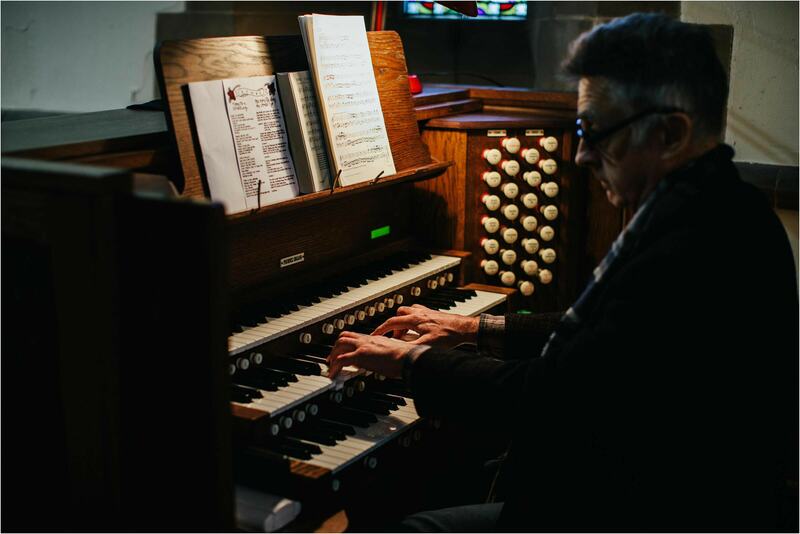 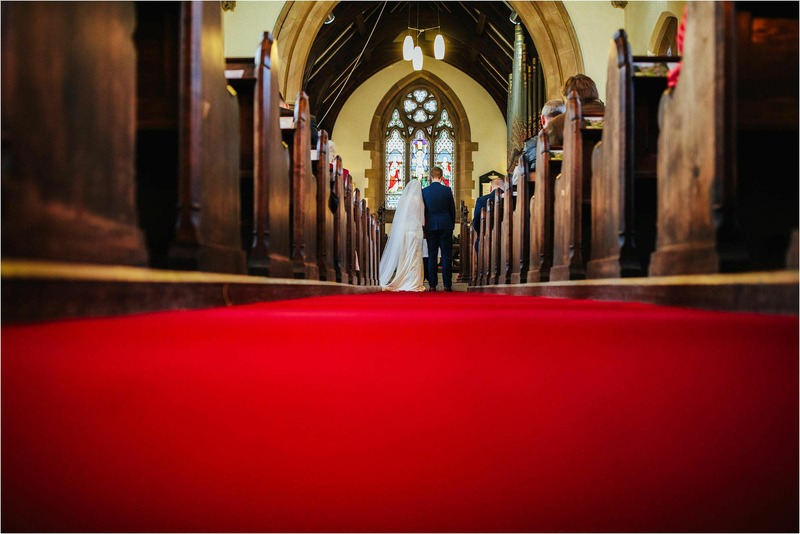 After prep it was off to Norcliffe Chapel, in Styal, to catch up with Mike and the boys. 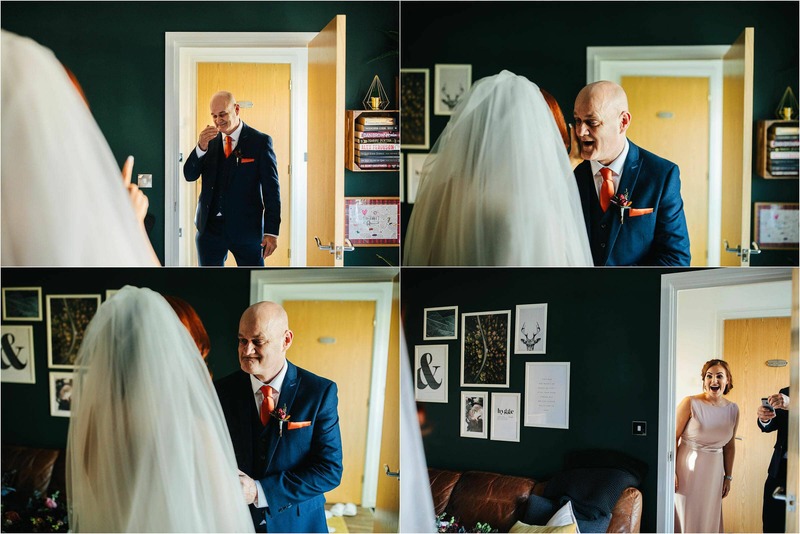 Mike was looking sharp and was feeling super relaxed. 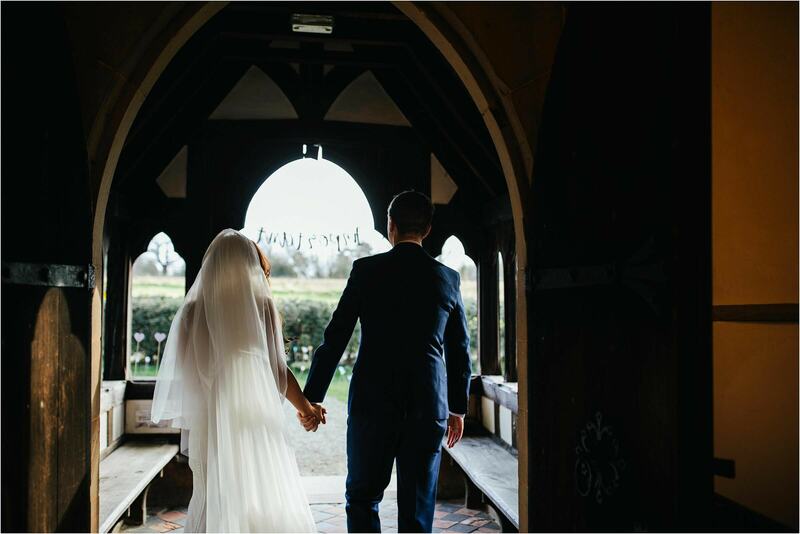 Norcliffe chapel is a beautiful church and the surrounding countryside looked stunning in the low winter sunshine. 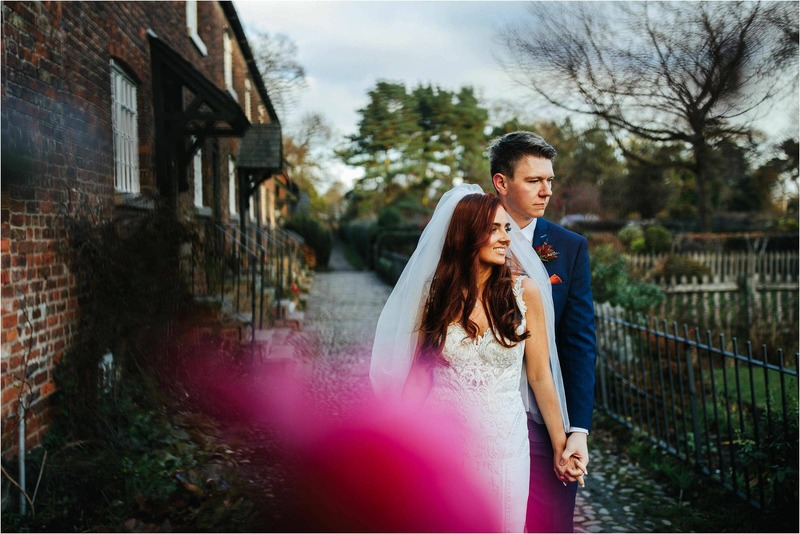 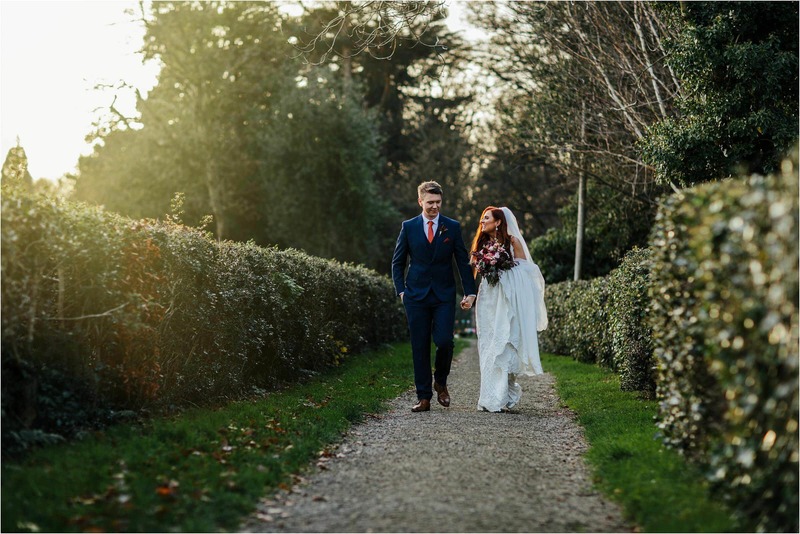 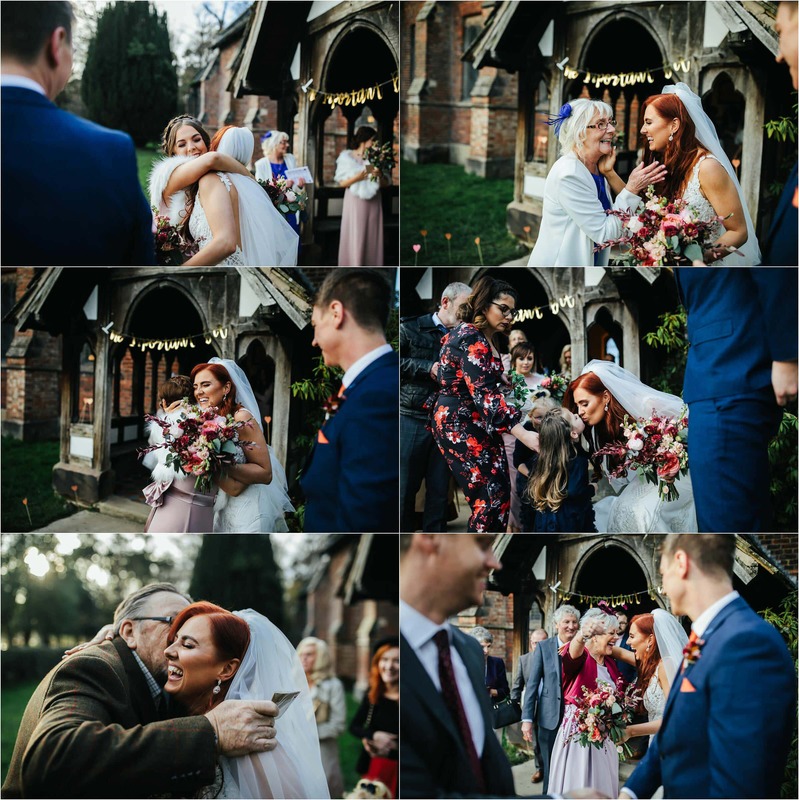 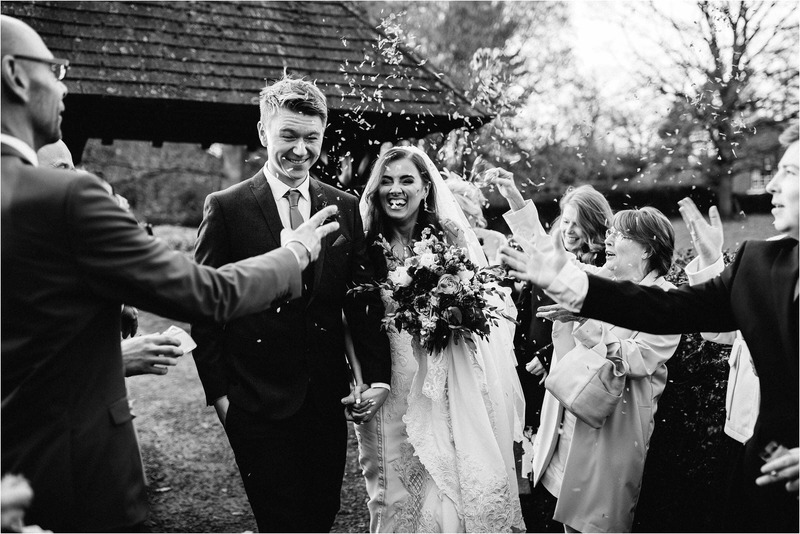 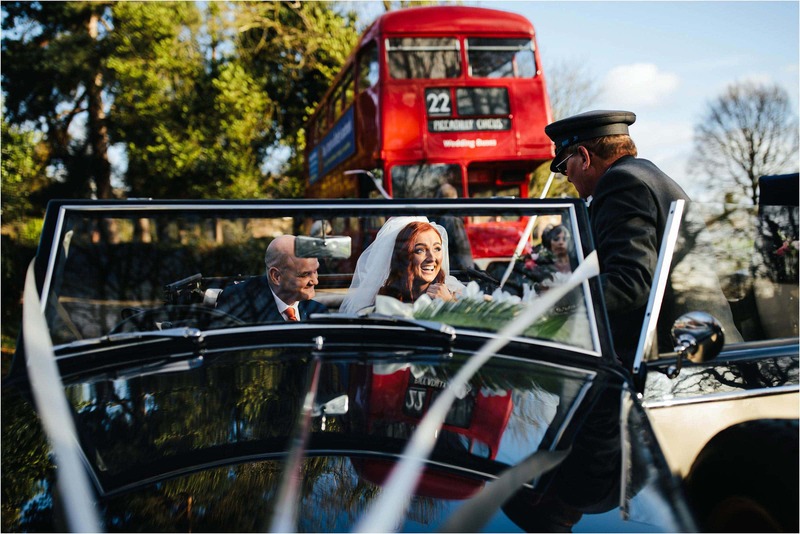 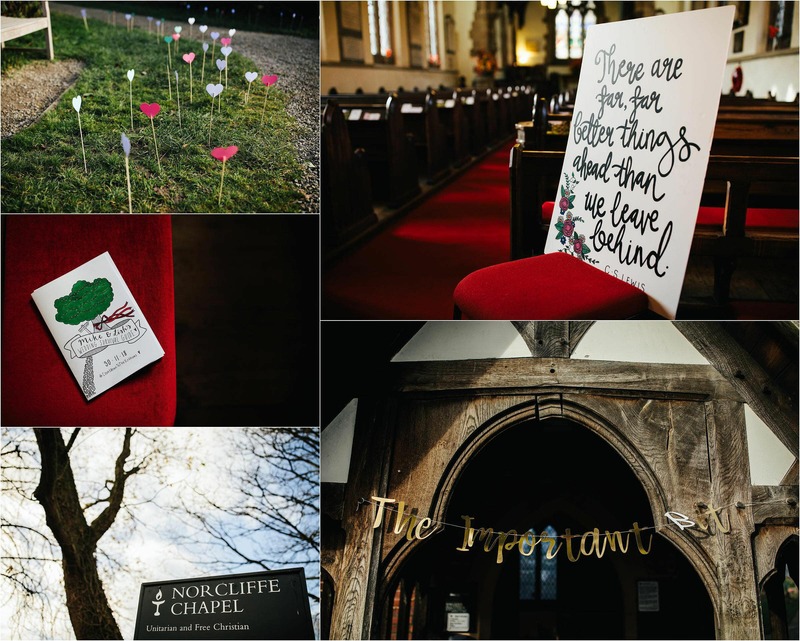 After a beautiful ceremony it was out in to the winter sunshine for confetti and portraits. 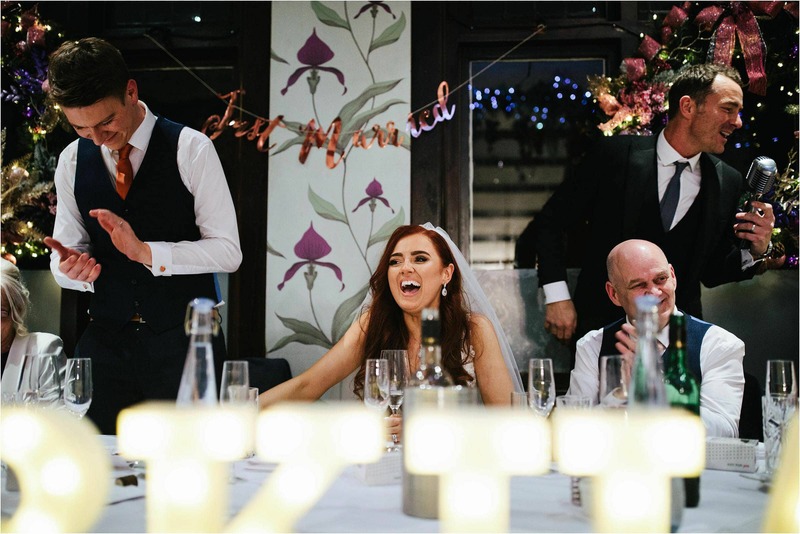 When I think back to their wedding I can always hear Elisha’s laugh, totally infectious! 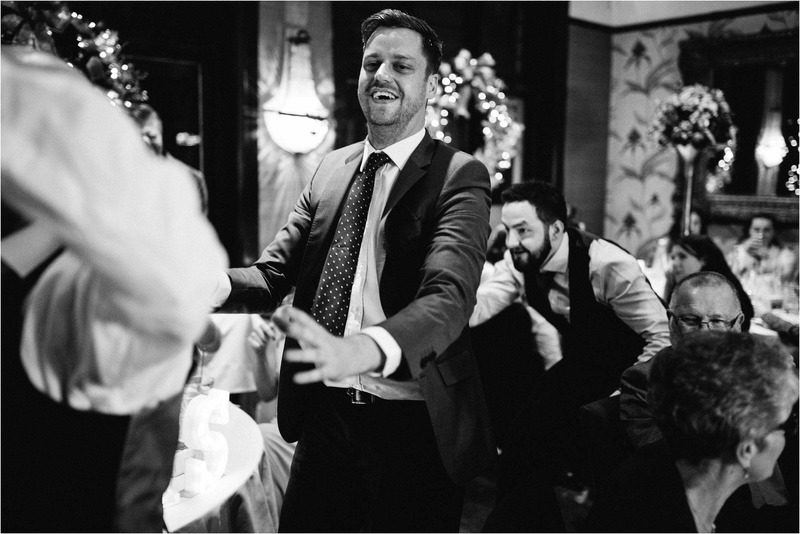 At the Belle Epoque we were all treated to some awesome singing, and moves, by the one and only Howard Wing. 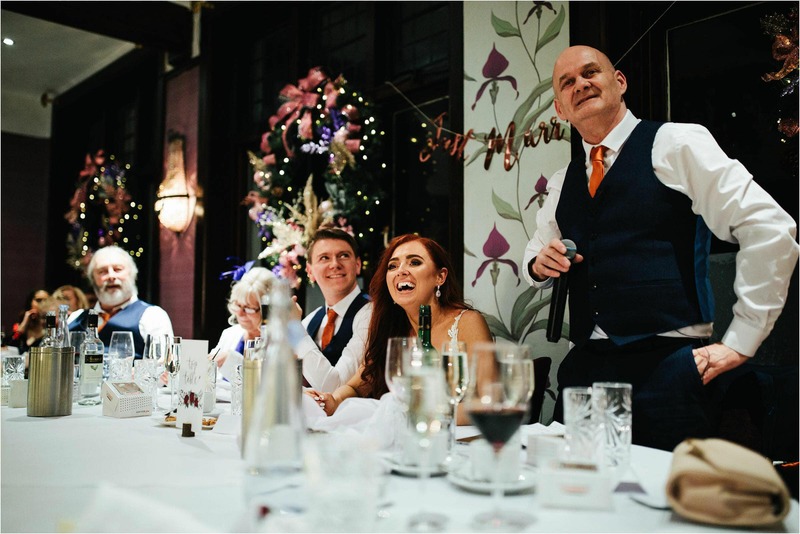 If you are thinking of having your wedding at the Belle Epoque or anywhere else on the North West and I can highly recommend Howard Wing. 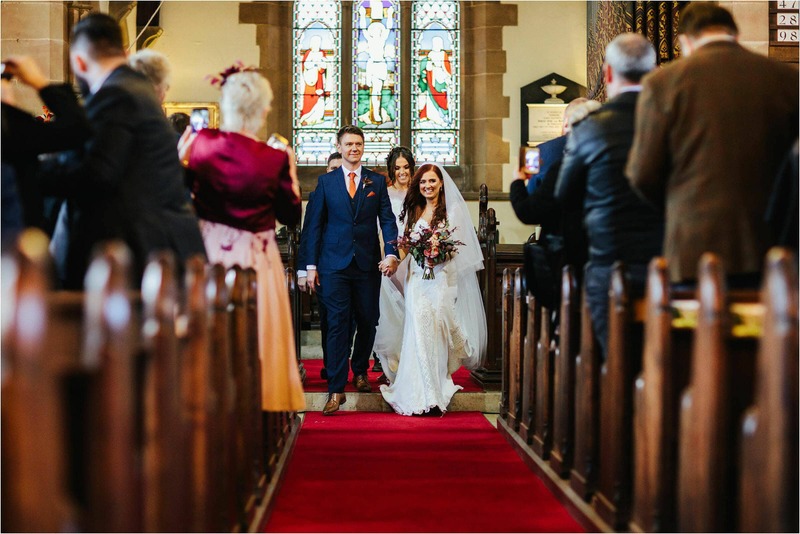 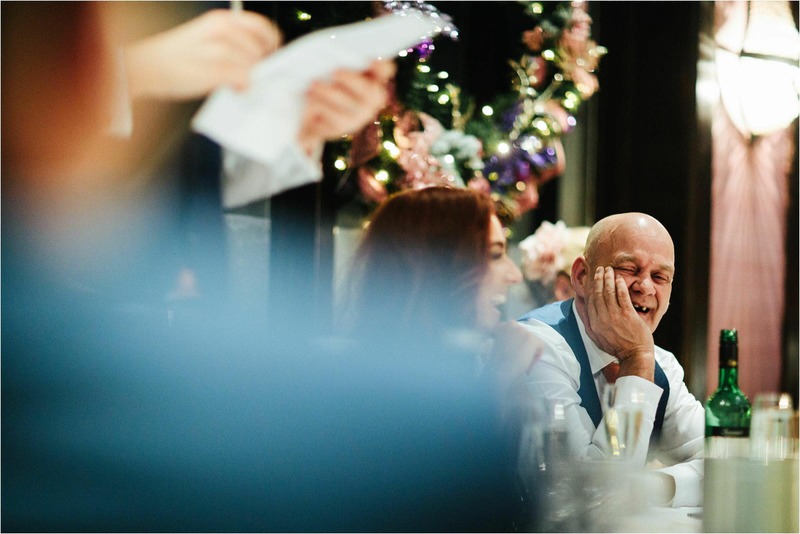 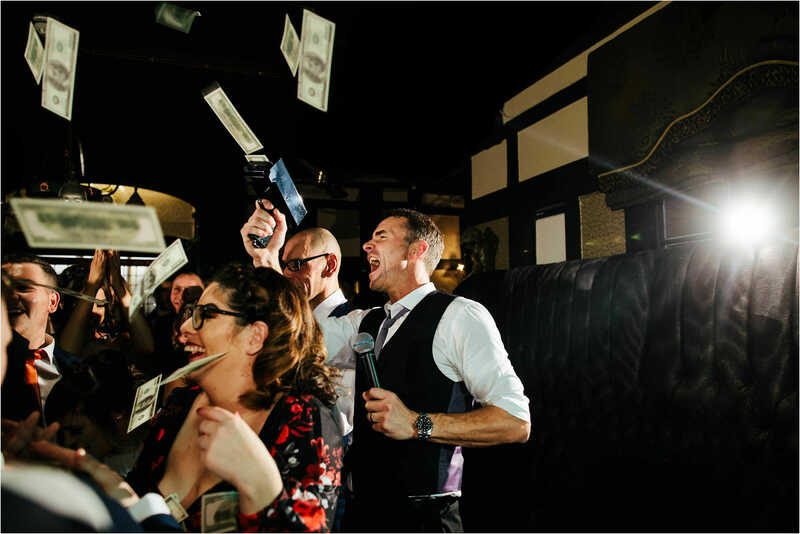 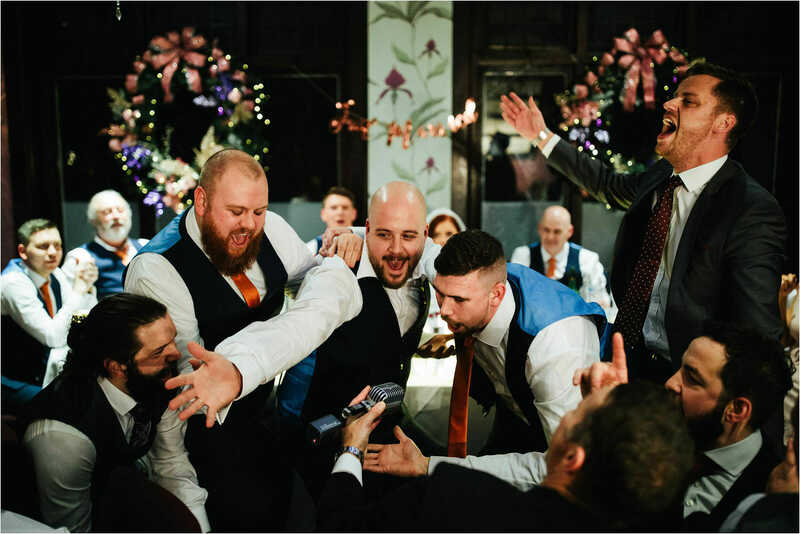 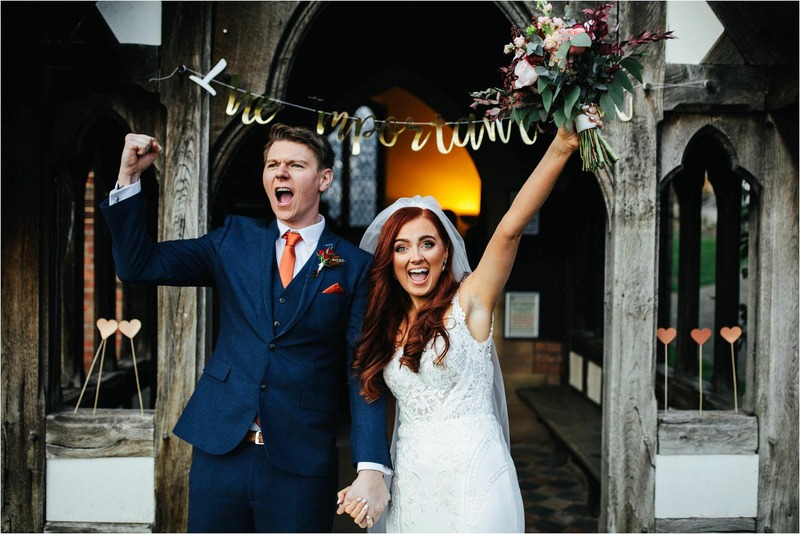 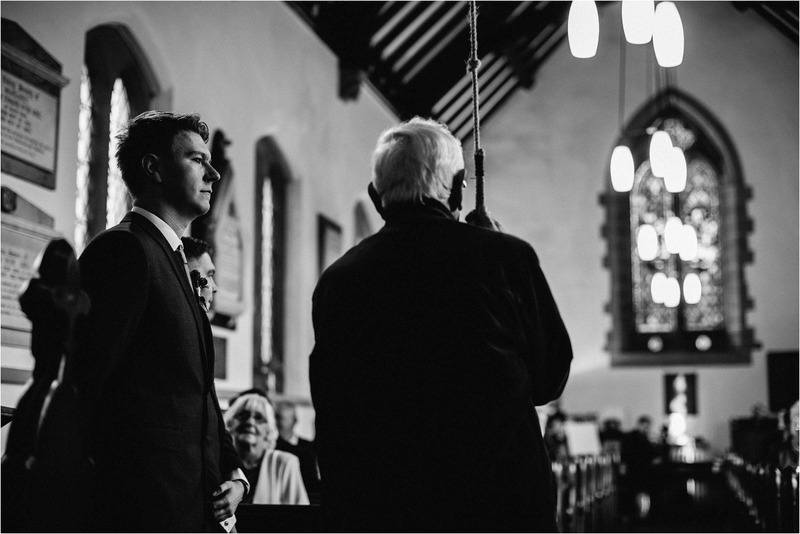 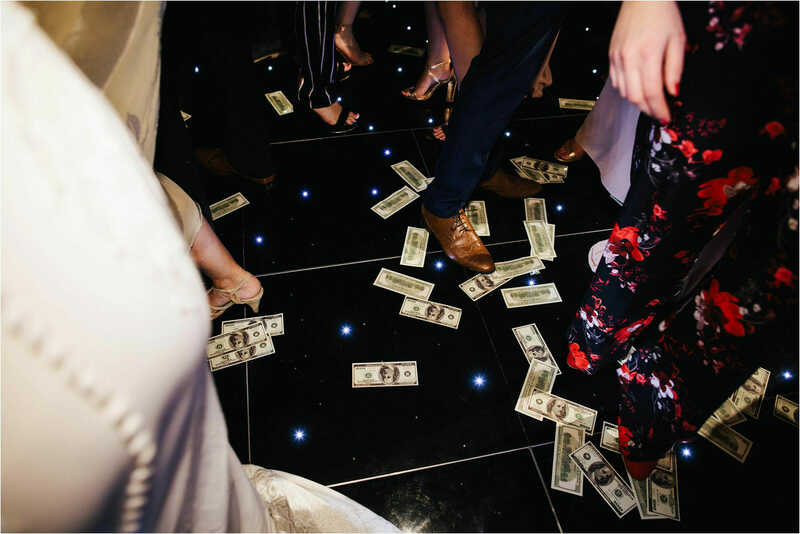 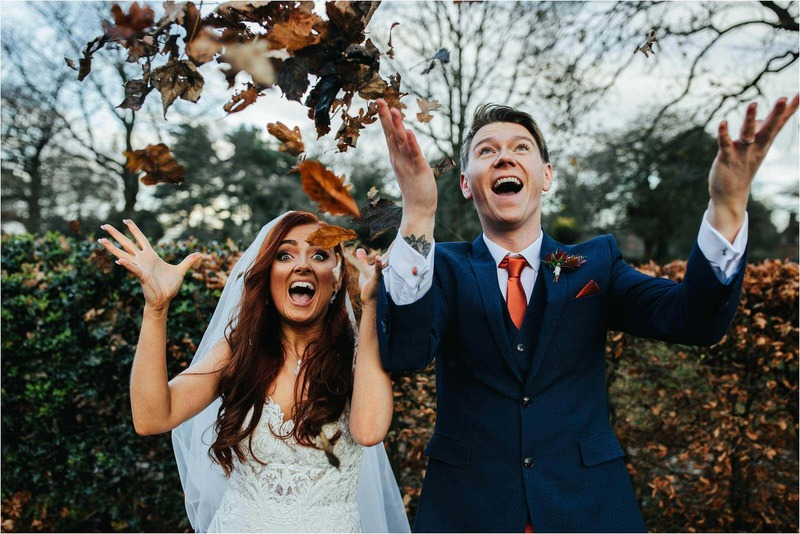 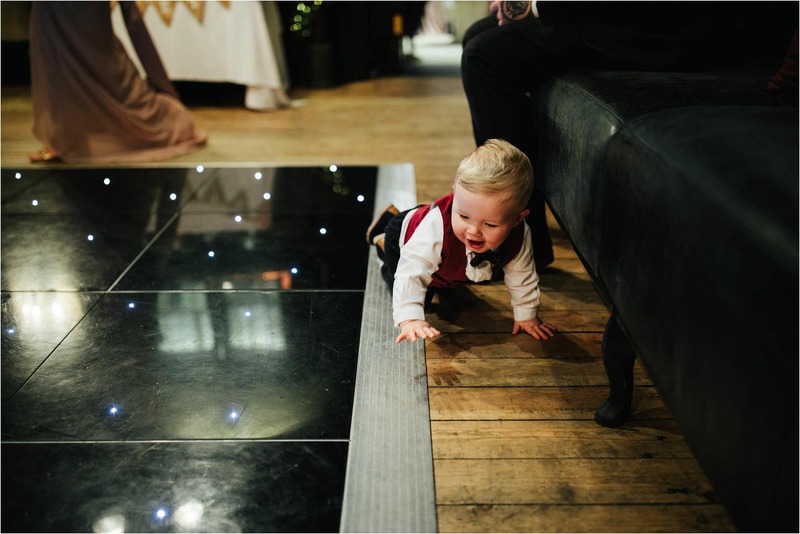 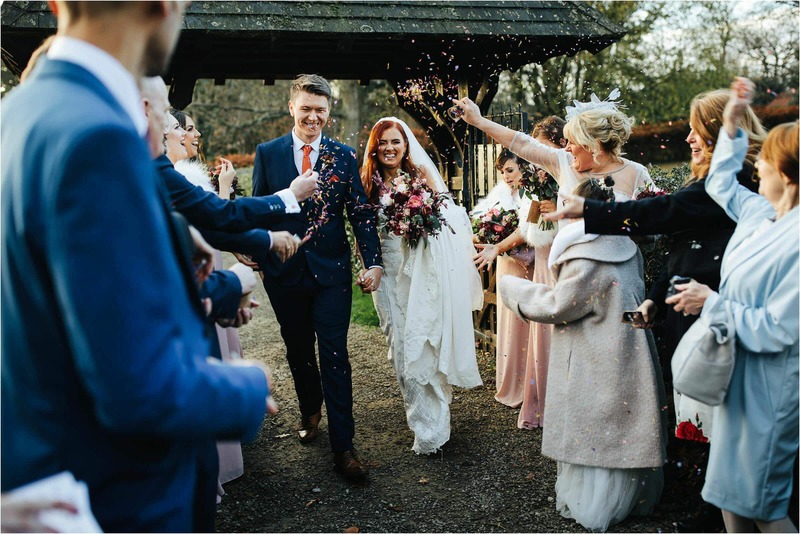 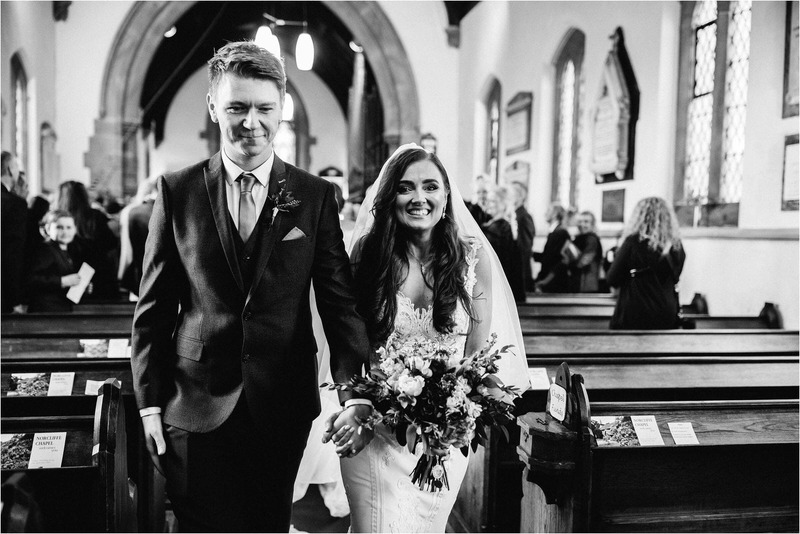 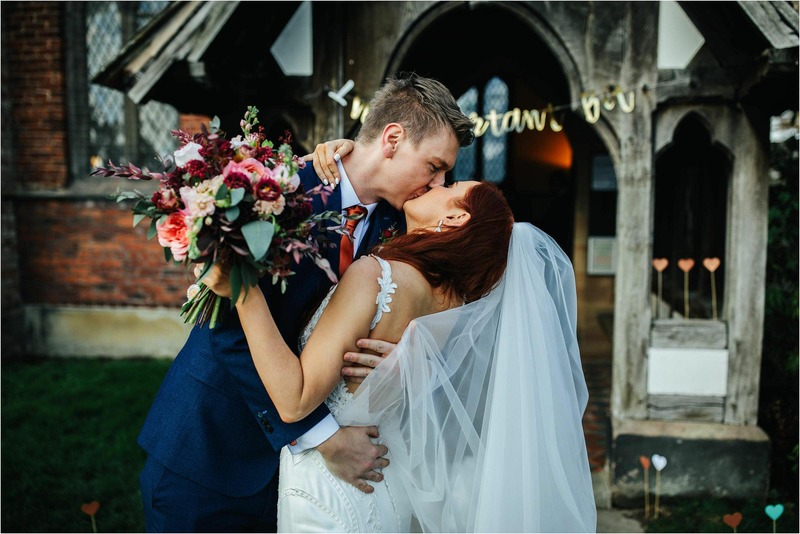 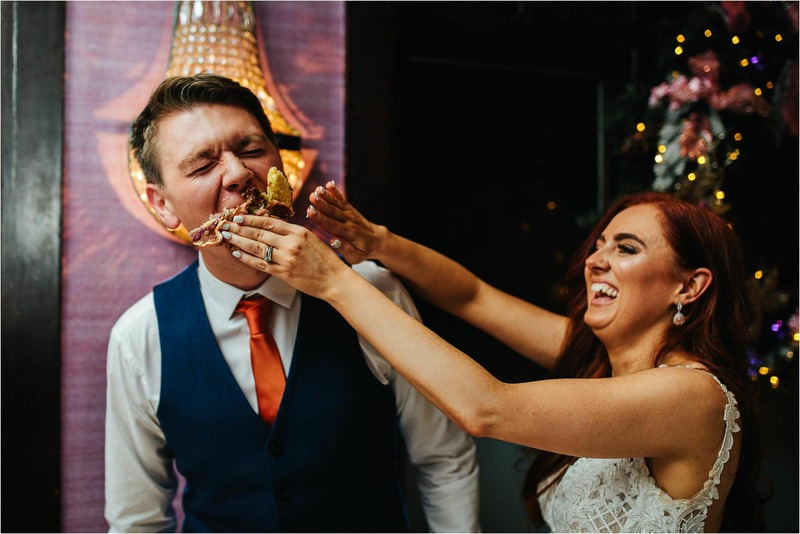 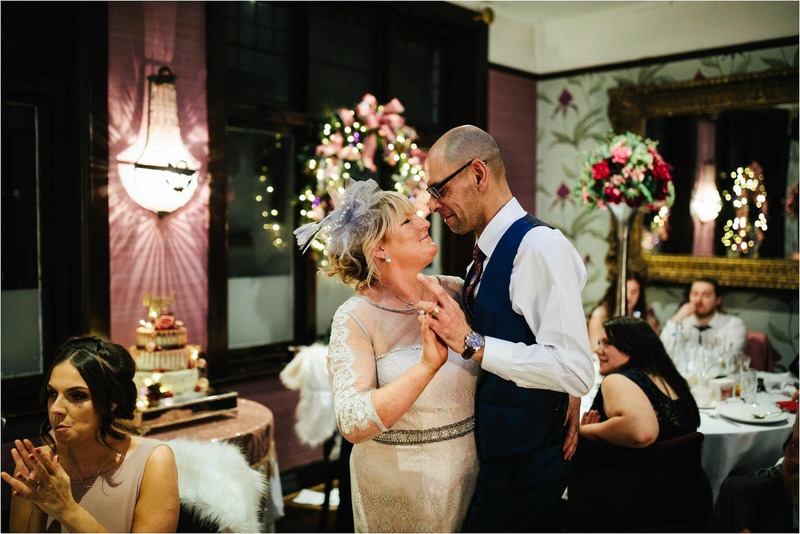 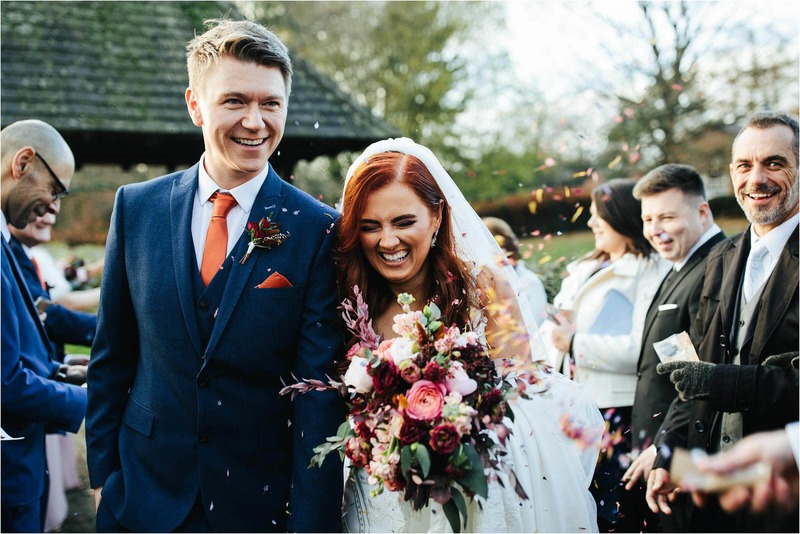 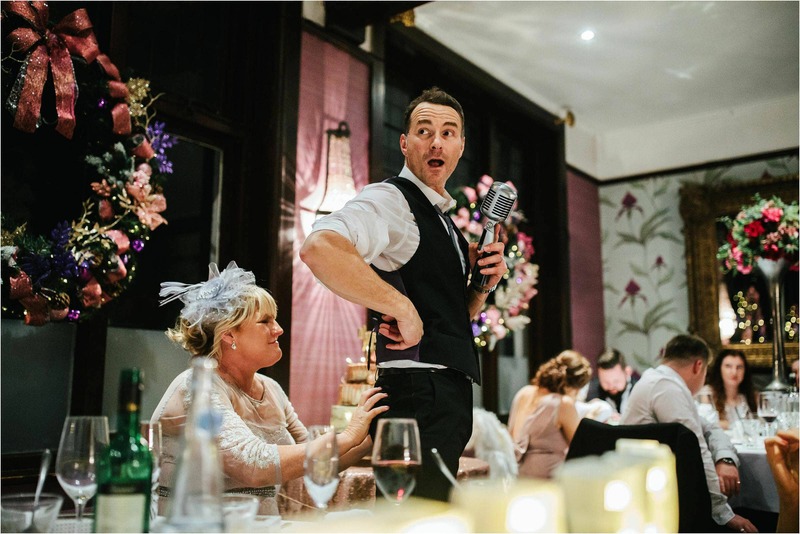 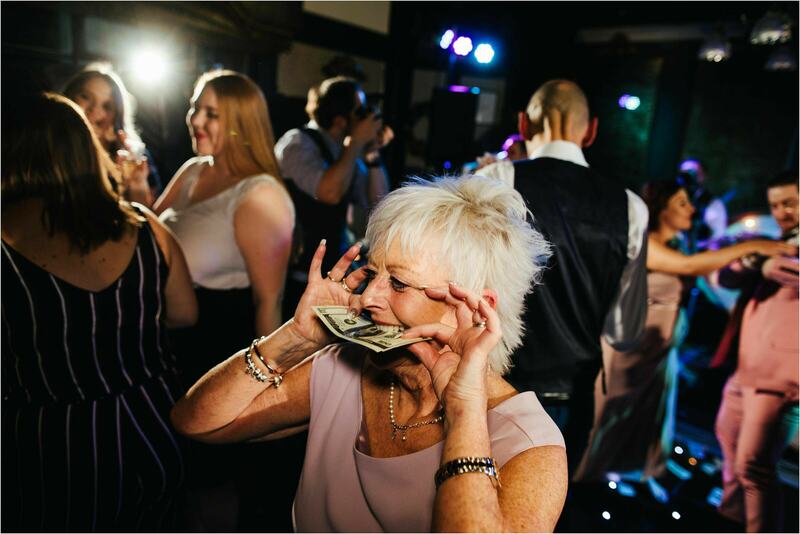 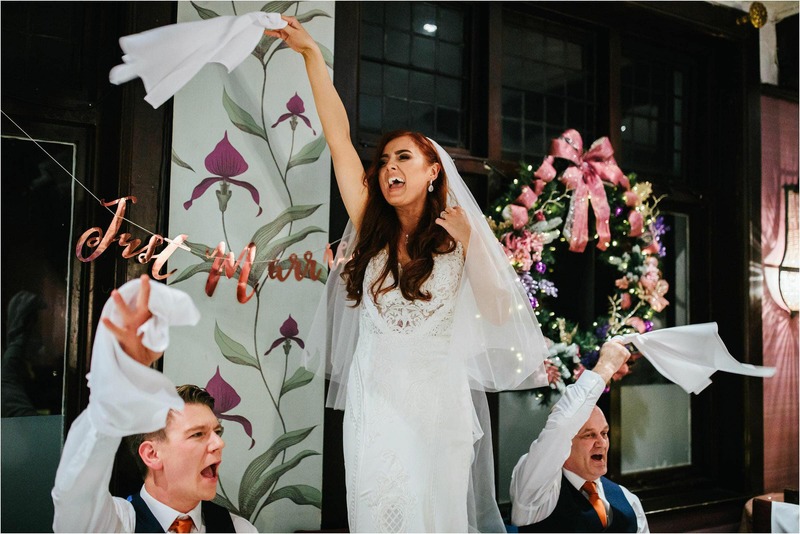 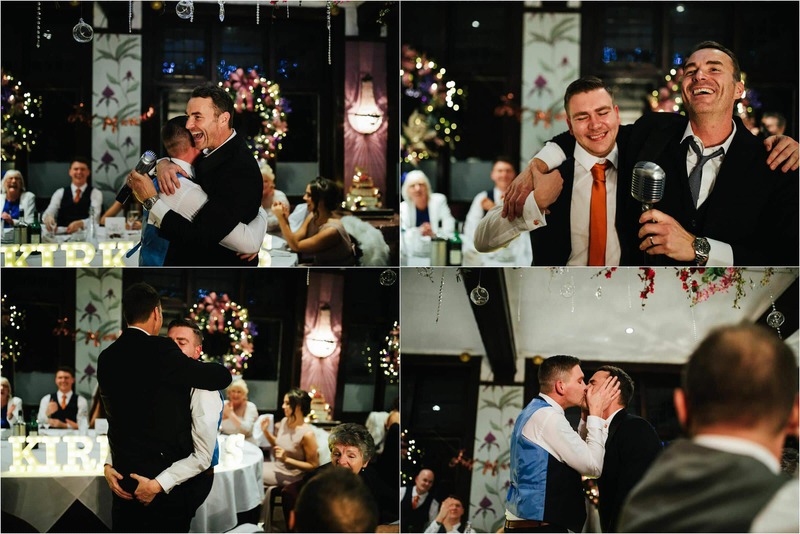 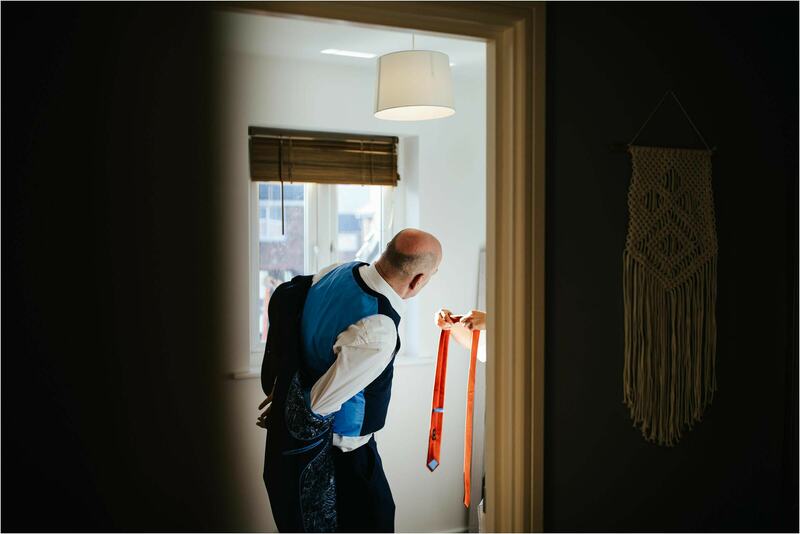 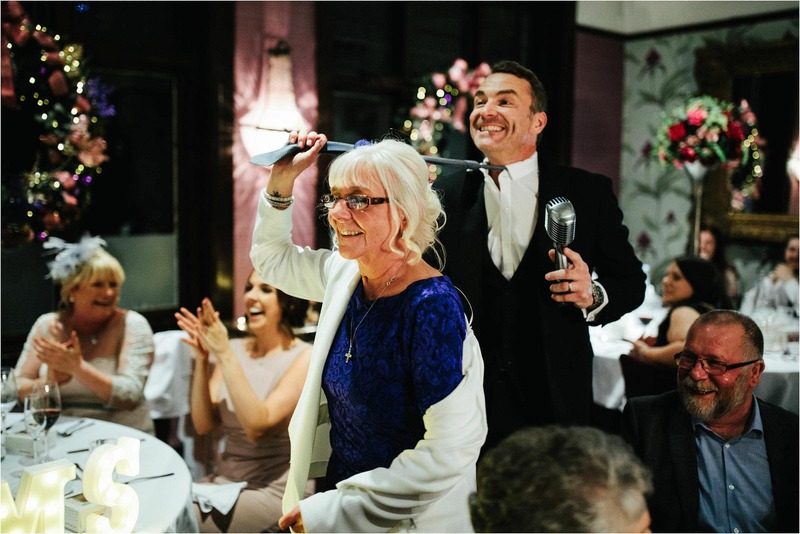 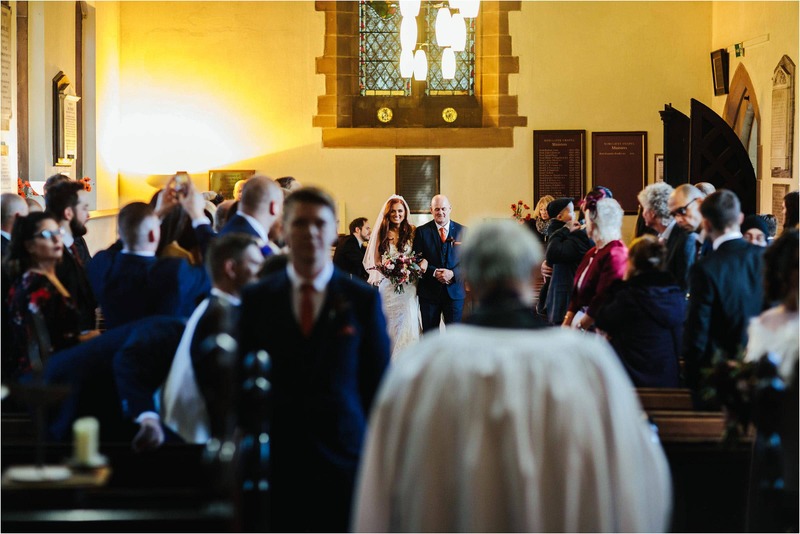 He brings humour and great singing to your wedding breakfast … you’ve only got to look at the expressions in this blog post to see just how much people loved him! 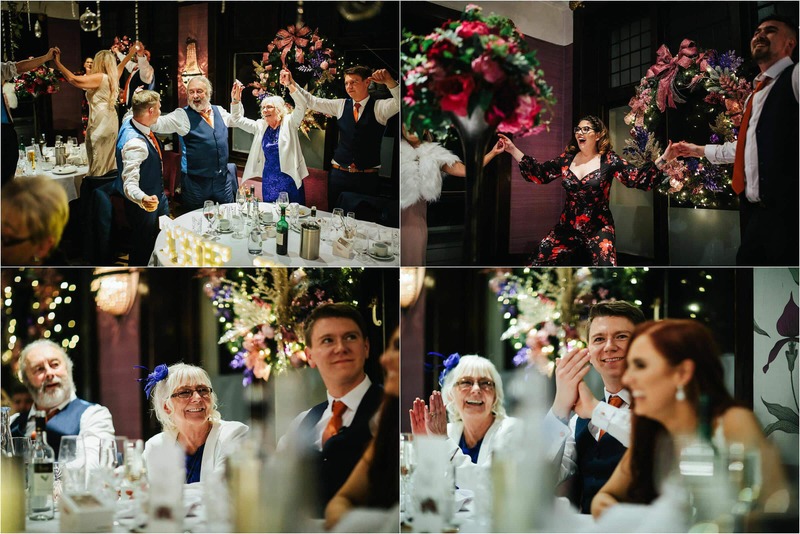 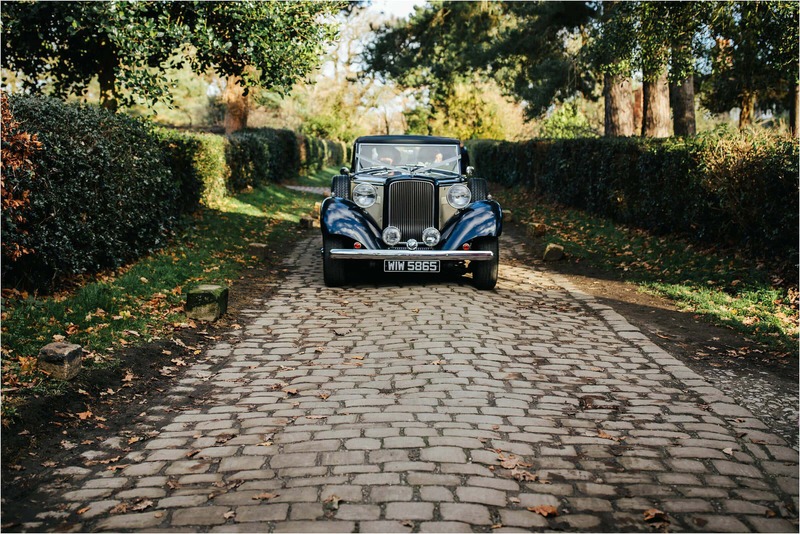 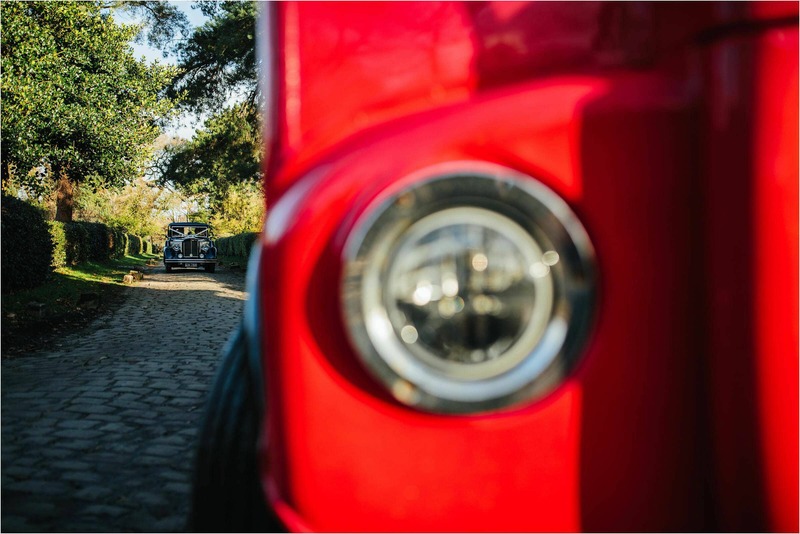 Elisha and Mike, thank you for choosing the Crawleys to photograph your wedding at the Belle Epoque … it was amazeballs! 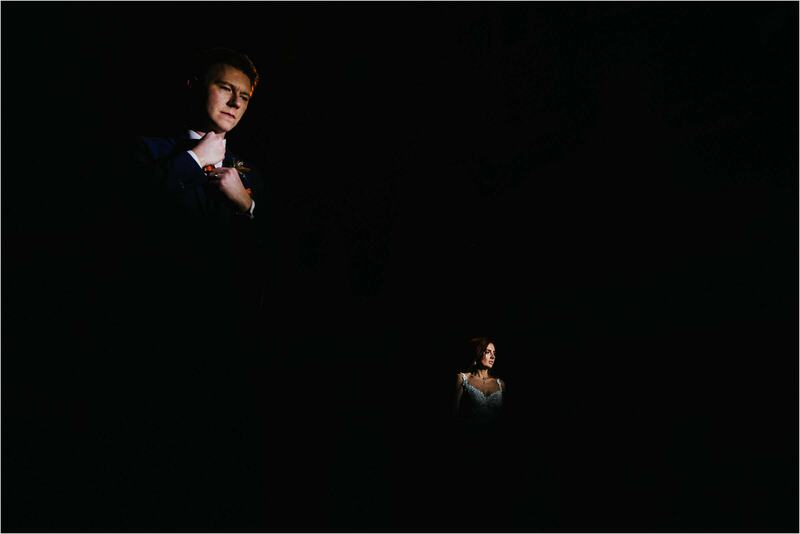 We are the Crawleys, Liam and Bee. 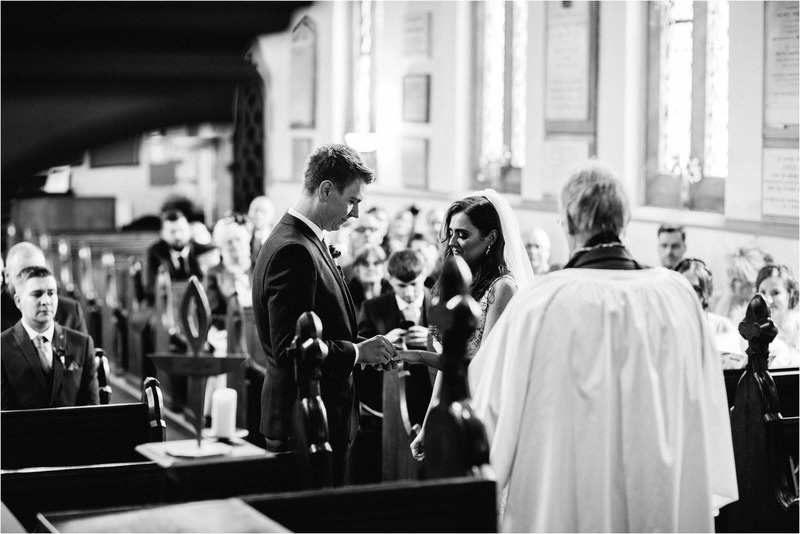 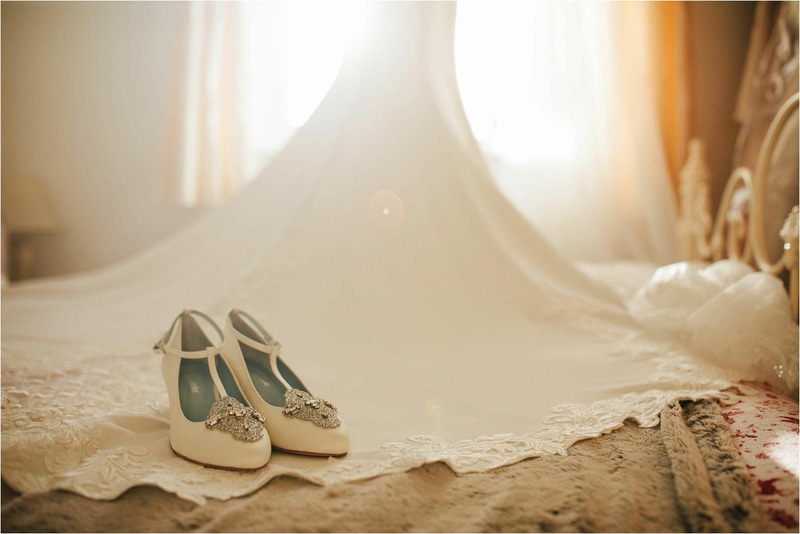 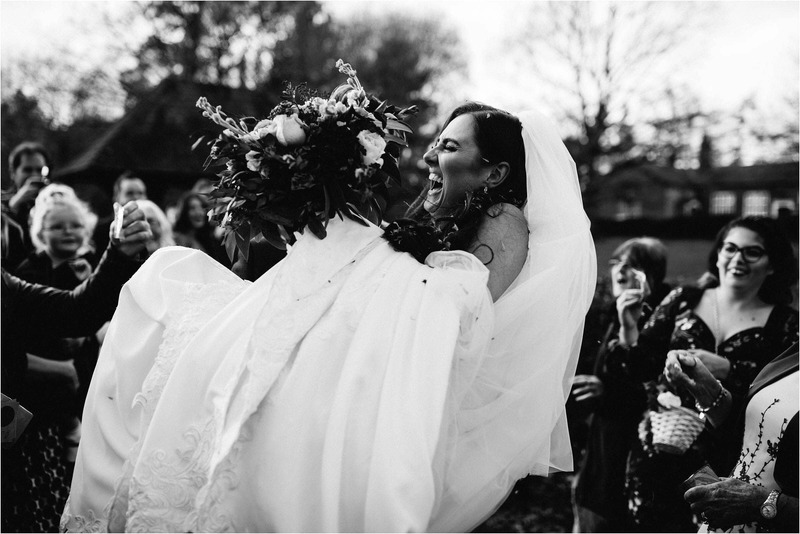 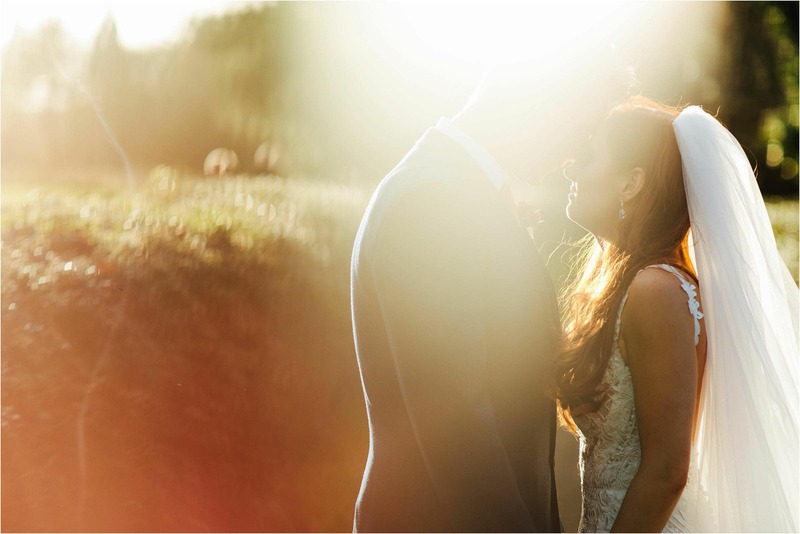 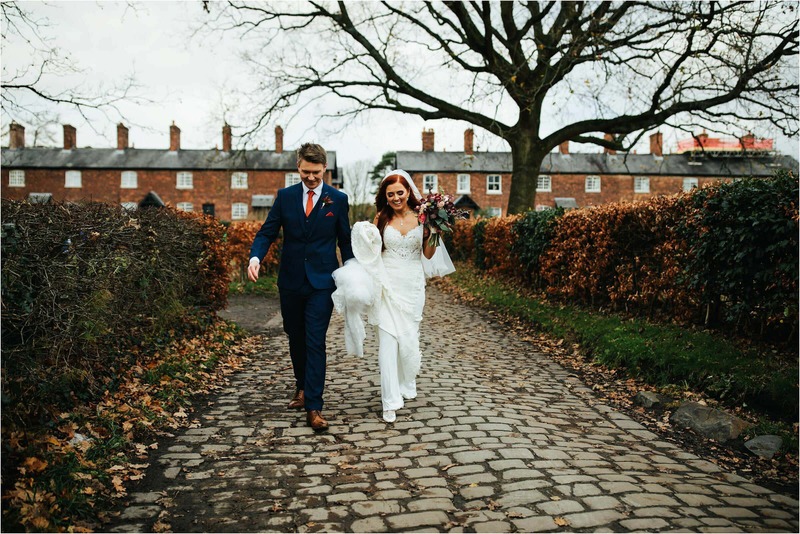 Award winning Manchester wedding photographers shooting nation wide and internationally.